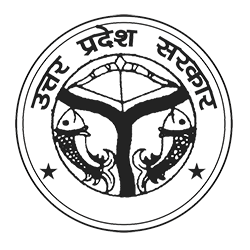 The district of Jaunpur is situated in the North-West part of Varanasi Division. Its land area extends from 24.240N to 26.120N latitude and between 82.70E and 83.50E longitudes. Its attitude varies from 261 ft to 290 ft. above M.S.L. (Mean Sea Level). The topography of the district is mainly a flat plain with shallow river-balleys. Gomti and Sai are its main parental rivers. Besides these, Varuna, Basuhi, Pili. Mamur and Gangi are the smaller rivers here. The rivers Gomti and Basuhi divide the district into nearly four equal landmasses. The soils are mainly sandy, loamy and clayey. Jaunpur district is often affected by the disaster of floods. There is a paucity of minerals. Excavations at some places yield to some rocks which are burnt to make lime. The lime obtained from sand and gravel is used in buildings construction work. The temperatures of the district of Jaunpur lie between a minimum of 4.30C and a maximum of 44.60C. Average annual rainfall is 987 mm. The geographical area of the district is 4038 sq.km. The economic development of the district is mainly dependent on agriculture. The chief cause of this is the absence of heavy industry in the district. Several industries are coming up along the Varanasi Jaunpur highway. A cotton mill is operational near Karanja Kala. At Satahariya too, about 85 industrial units like M/s Raja Flour Mill, Pepsico India Holdings, Howkins Cookers Limited, Amit Oil & Vegetablle, Chaudharana Steel Limit, Saurya Aluminium are running.